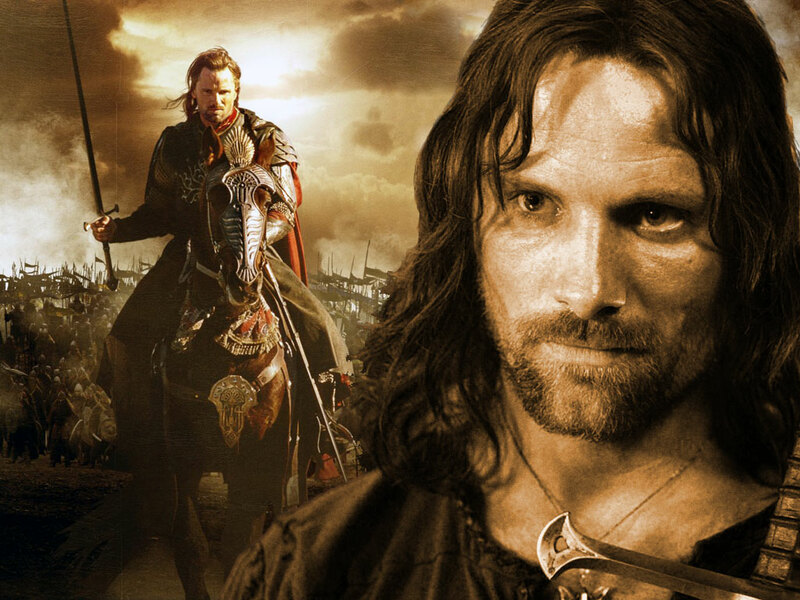 This was created from two photos of Aragorn (Viggo Mortenson) from Return of the King. The horse shot on the left is a promotional graphic that originally only took up the left half of the space. I extended the cloudy background up to and behind Aragorn's head in the portrait. I then colorized the foreground photo to match the promo graphic in the background.